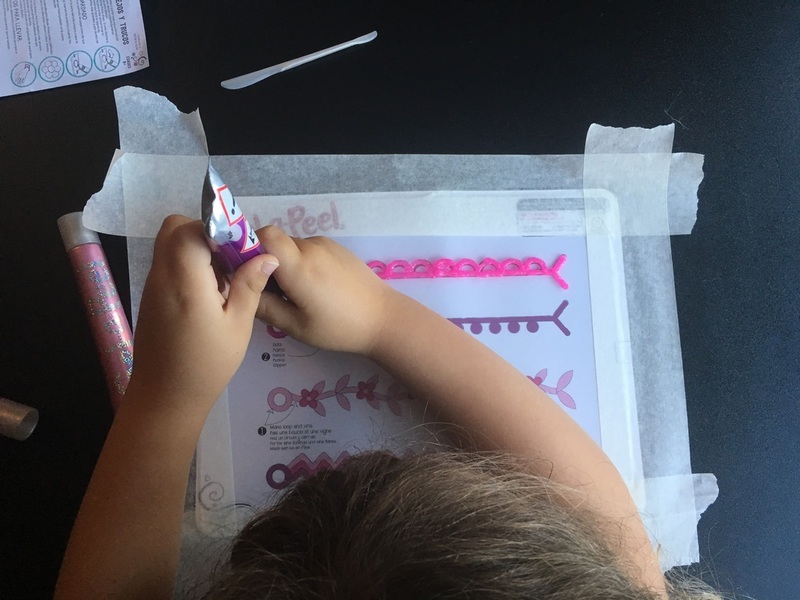 My 5-year-old Daughter is like most little girls and loves accessories and making crafty things, so she was thrilled when we were asked to review Gel-a-Peel, a craft gel that allows you to create your own jewellery. As soon as she saw the box she couldn’t wait to get started and after a quick outfit change we were ready to go. 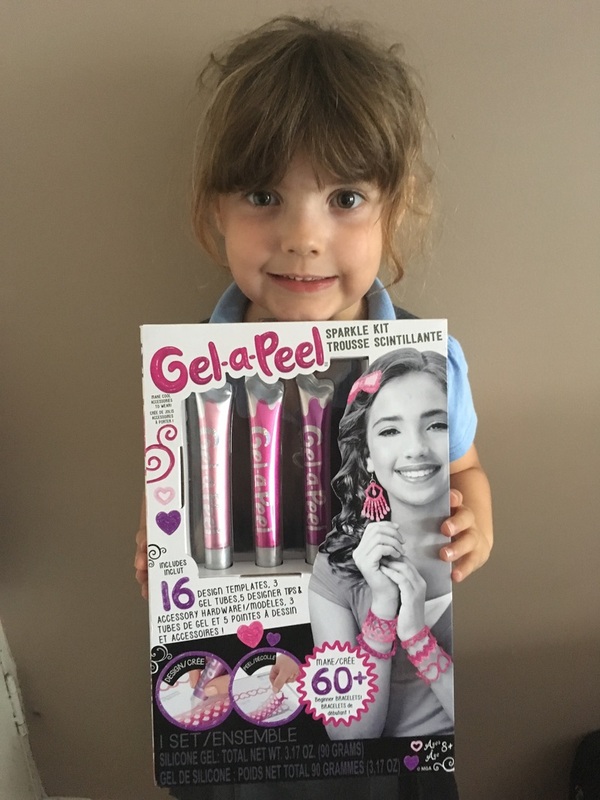 Inside our box was three tubes of gel, accessories to make earrings and hair clips, cleaning tool, designer tips, templates and clear drawing sheet. The clear drawing sheet was folded to fit in the box and it did need a little persuasion, a lot of masking tape and some time under a heavy book in order for it to lie flat! 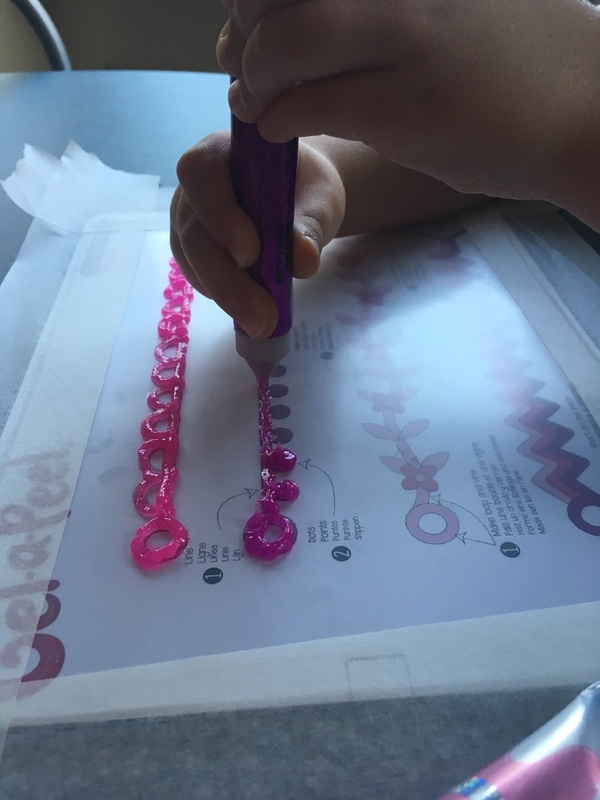 We picked an easy template to start with and both me and Daddy took it in turns to help our Daughter follow the guide to make a couple of bracelets. The gel flows easily and we soon had something resembling a bracelet and with a bit of confidence she was soon able to do it herself. She was a little scared of squeezing too much gel out and going wrong, but once the bracelet has dried you might find that if there wasn’t enough gel there it will be a bit weak at that point and break off. Once dry the bracelets were easy to peel off with the help of the cleaning tool. 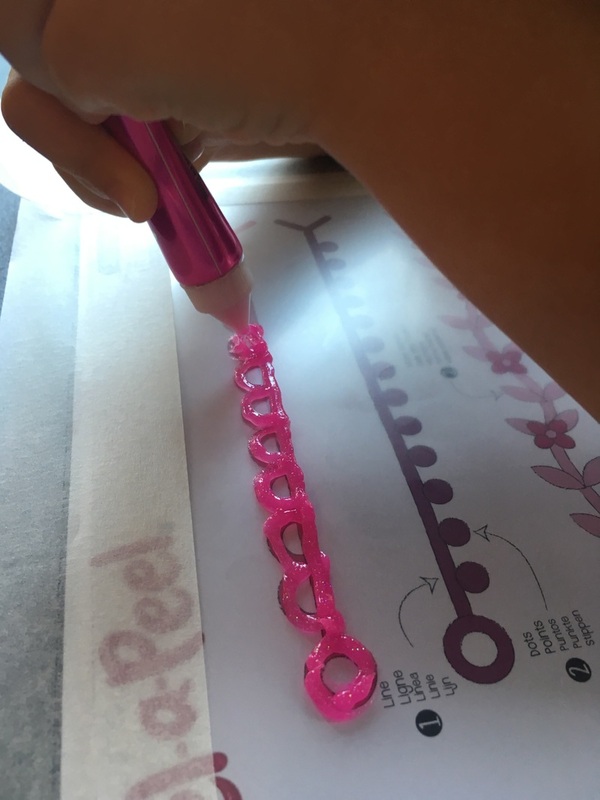 What we liked about this craft was that it wasn’t too messy and once the gel has dried then you use the cleaning tool to scrape away the bits from the design tips. 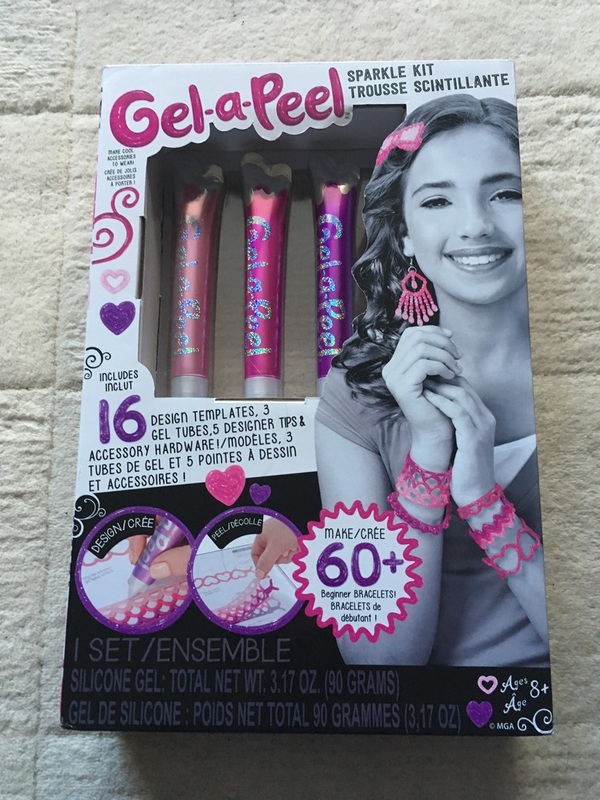 My daughter loved her bracelets, although the parts where we hadn’t put enough gel did come away but she knows for next time to put more on. 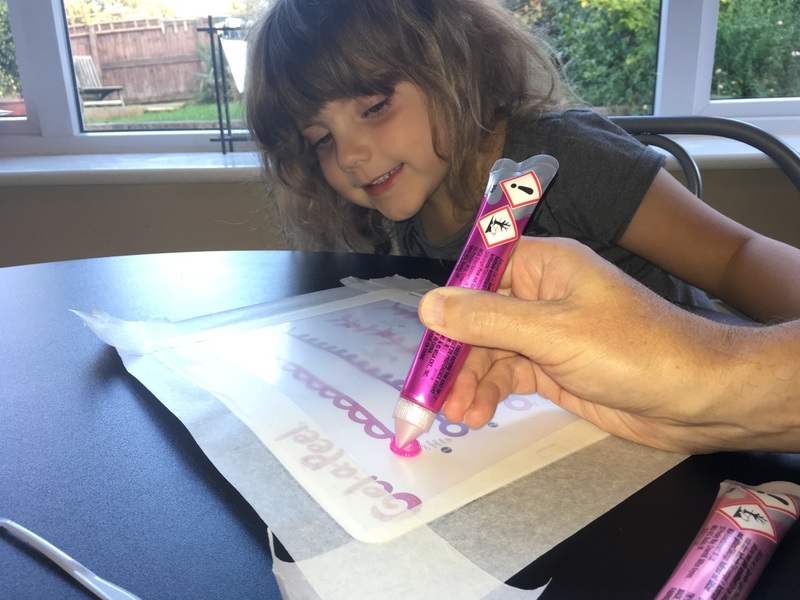 Despite being younger than the recommended age of 8 she was able to create something and I think with help most younger children would be able to follow the templates. She was proud of herself that she had made them and has big plans for next time on what else she is going to make. Perhaps I have a little jewellery designer in the making! 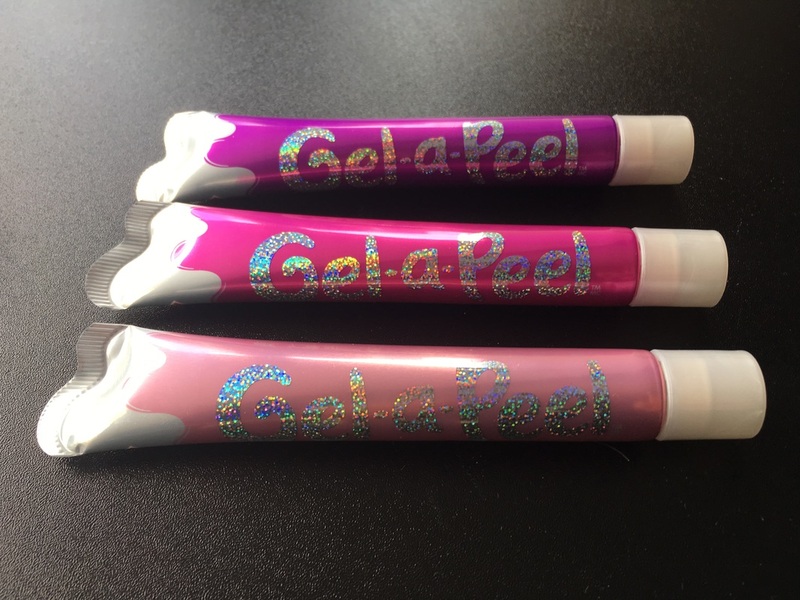 We were sent a box of Gel-a-Peel for the purpose of this review but all views are my own.